Download coloring pages for some of our SI Superheroes. Download the Professor Second coloring sheet. Download the Meter Man coloring sheet. Download the Candela coloring sheet. Download the Monsieur Kilogram coloring sheet. Download the Mole coloring sheet. 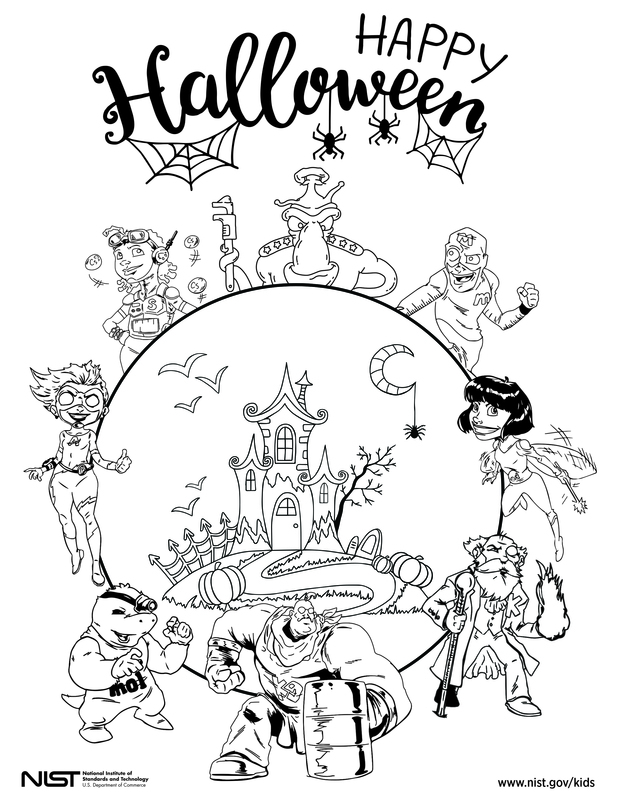 Download the SI Superheroes Halloween coloring sheet.